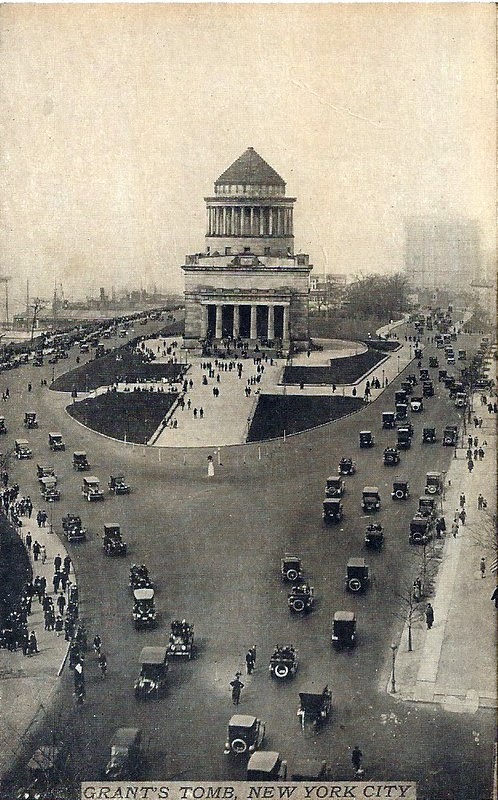 This great shot of Grant's Tomb is from sometime in the early twentieth century, and if you've toured with us, you may have seen this on our walk of Morningside Heights. (This scene has to be after 1907 due to the type of postcard, but we aren't car buffs -- can someone identify any makes or models?) As you can see in this picture, Riverside Park and Grant's Tomb were popular destinations for Sunday drives. 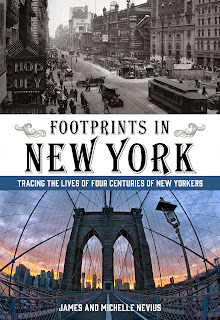 Grant died in 1885, having lived the last four years of his life in New York. His tomb sits at 122nd Street and Riverside Drive, at one of the highest points in Riverside Park....[It is] a remarkable testament to the high esteem in which Grant was held after his death (despite two terms as president marked by scandal and perceived mediocrity) as well as to New York’s growing obsession in the 1890s with becoming the premiere American city. First, New York beat out other places Grant had lived—including Galena, Illinois, and St. Louis, Missouri—for the right to bury the president. Then, the Grant Memorial Association held two contests to determine who would design the structure, the second contest being held because none of the entries the first time around was deemed grand enough. The tomb, by John Duncan, is modeled on the mausoleum at Halicanarssus, one of the Seven Wonders of the Ancient World. In 1897, the tomb was officially opened and it fast became the leading tourist attraction in the city. Indeed, more people visited Grant’s Tomb in the early years of the Twentieth Century than went to the Statue of Liberty. In the meantime, if you want to find out the answer to the old riddle, "Who's buried in Grant's Tomb?" you'll simply have to go check it out in person. The tomb is run by the National Park Service and is open for visitation. 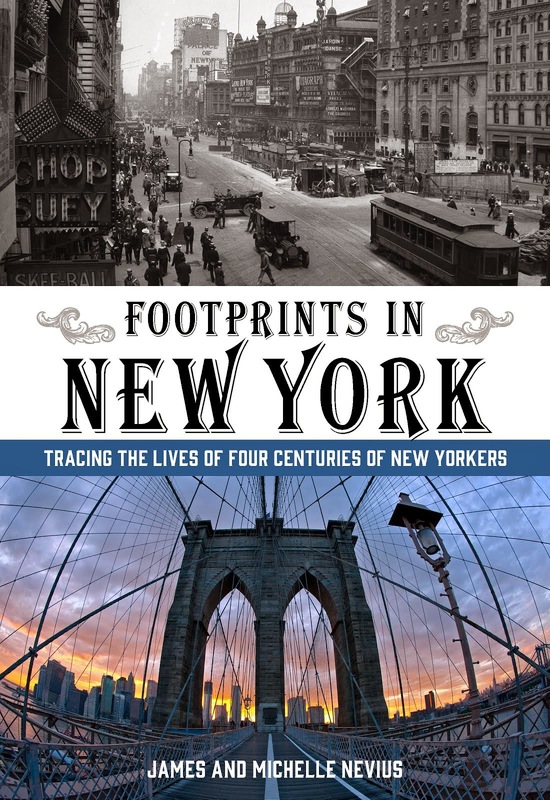 Footprints in New York comes out April 15, 2014, but you can pre-order today.